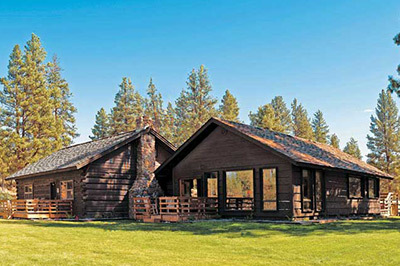 Imagine luxury camping on the banks of the legendary Blackfoot River. 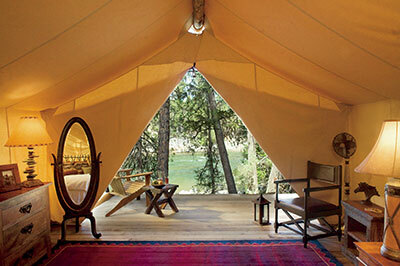 The soft music of the water lulls you gently to sleep while a blanket of stars twinkles overhead. 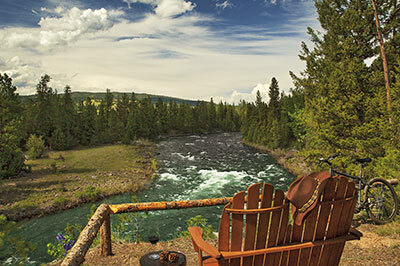 Rise with the sun and cast your first fly into the pristine water. 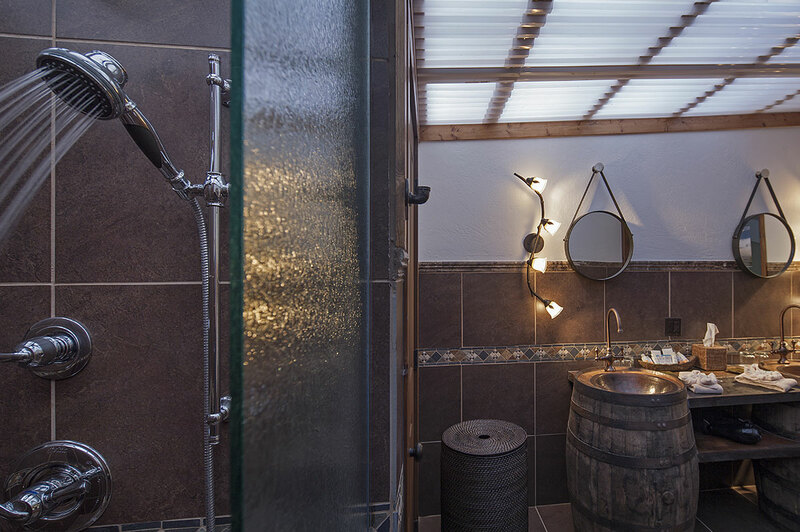 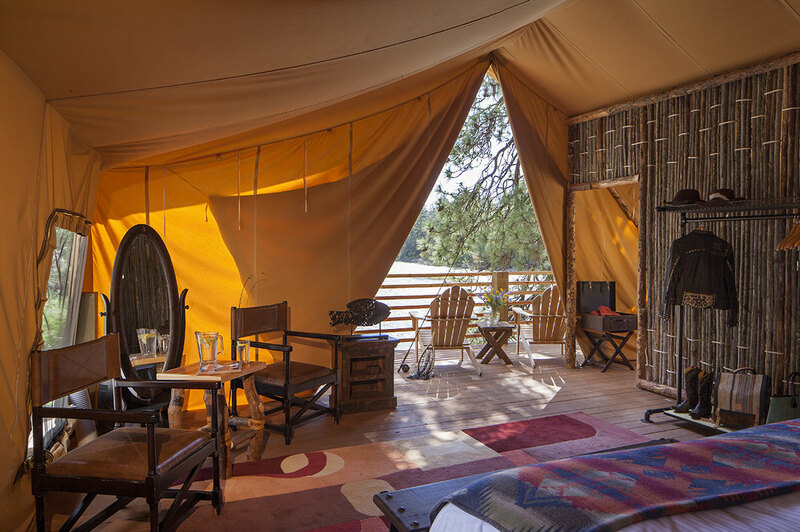 Now imagine luxury camping Paws Up-style—with your own well-appointed tent complete with The Last Best Bed, electricity, spacious deck, en suite bathroom, twice-daily housekeeping service, scrumptious meals and even a camping butler. 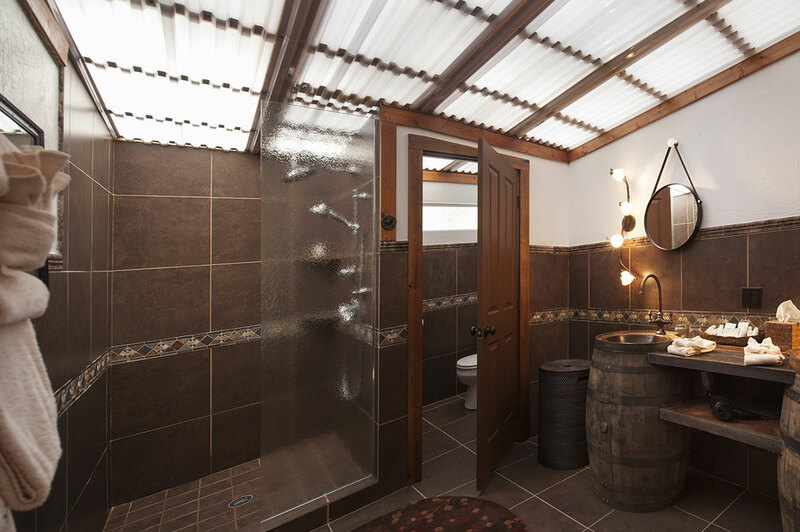 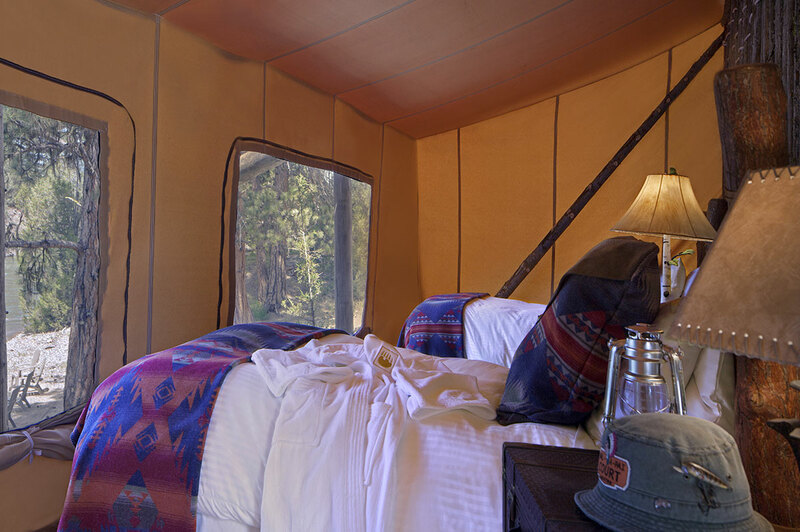 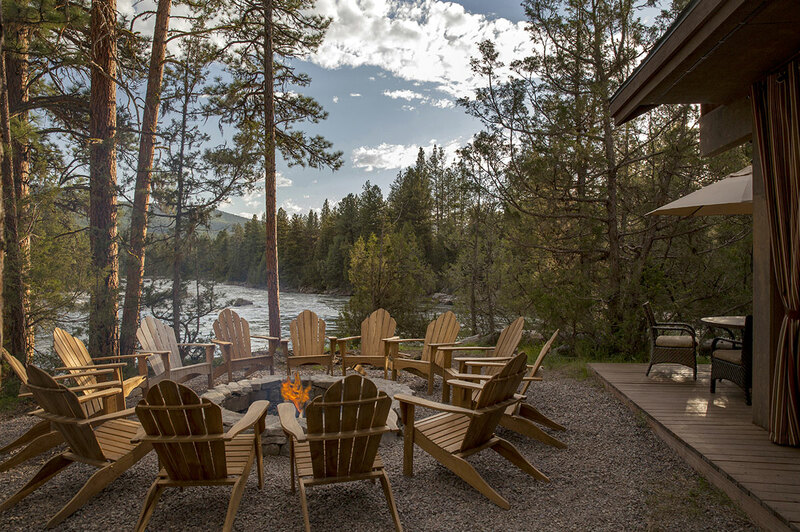 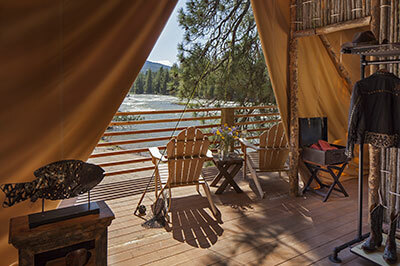 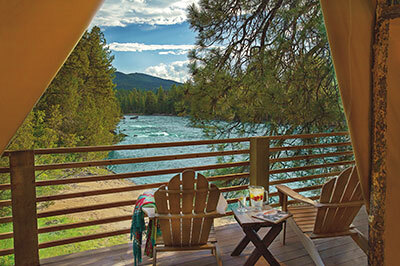 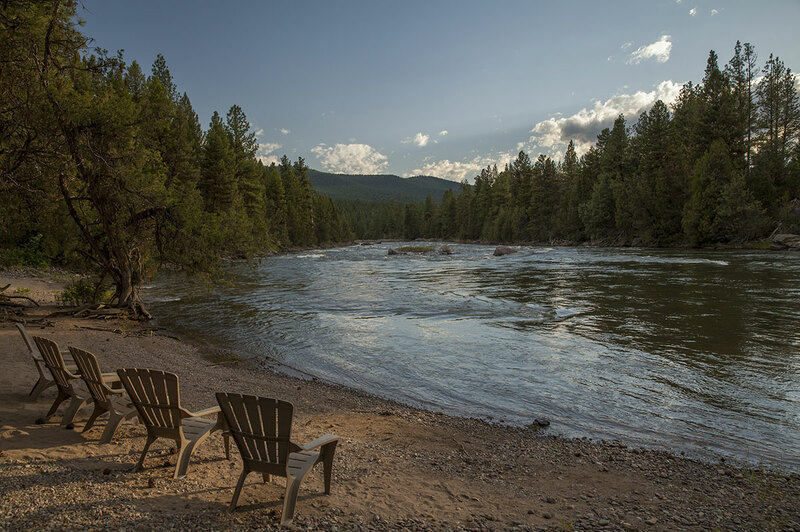 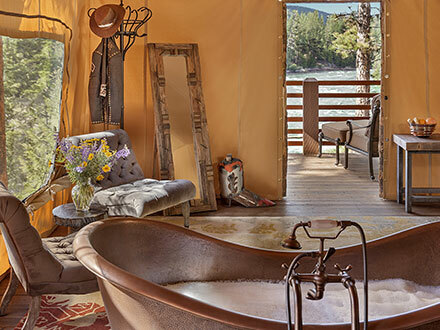 River Camp features six tent suites and a Dining Pavilion (with a new fireplace) that serves gourmet cuisine and breathtaking views of the Blackfoot River—the same majestic river that inspired the novel and film A River Runs Through It. 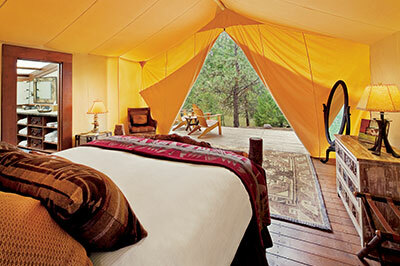 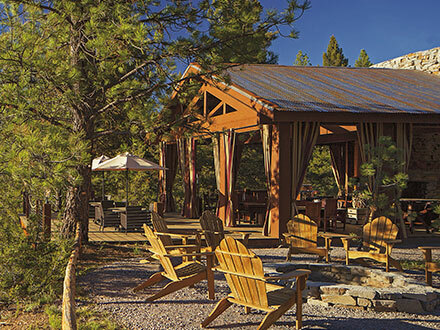 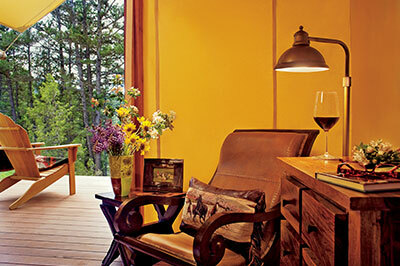 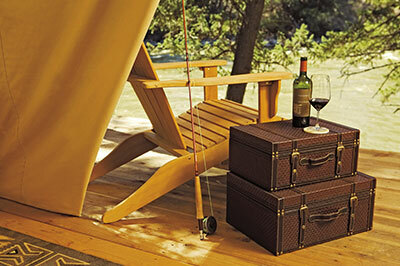 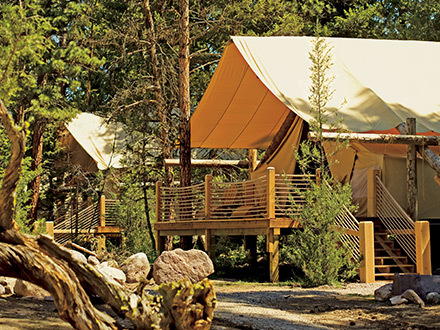 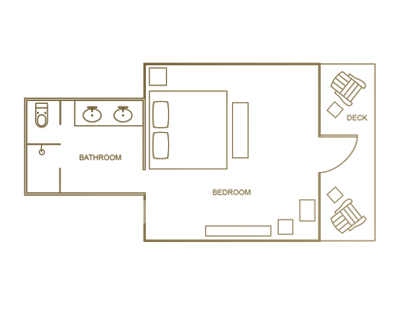 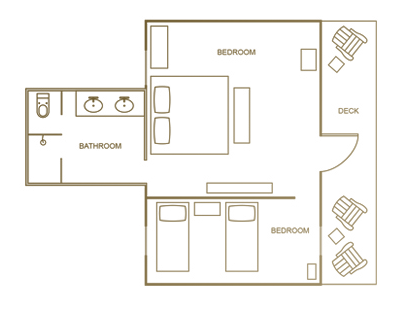 Paws Up is North America’s premier luxury camping destination. 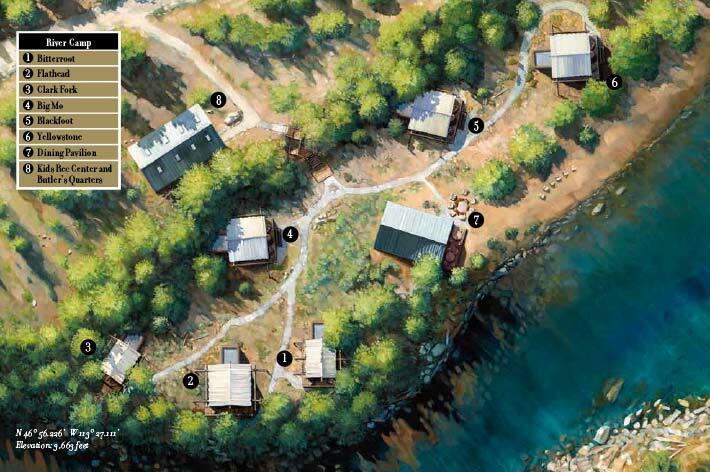 Tap image to show larger map. 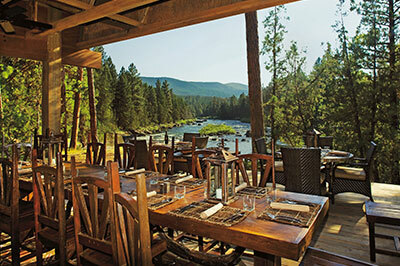 Planning a meeting, family reunion or corporate retreat? 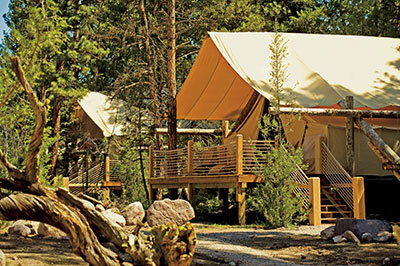 Reserve an entire luxury camp for an incomparable vacation experience. 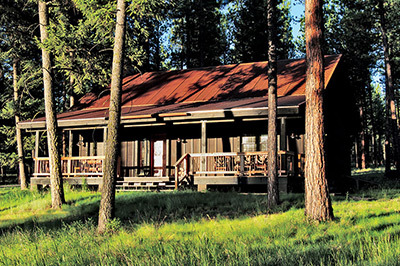 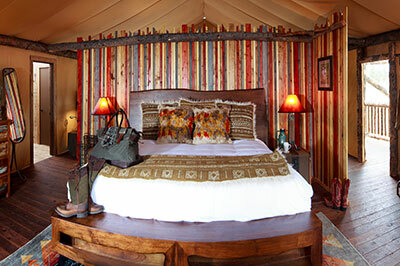 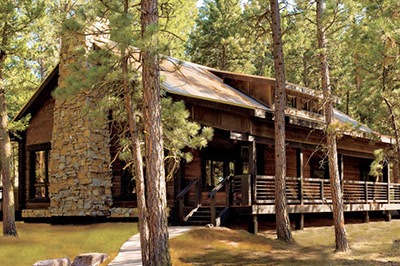 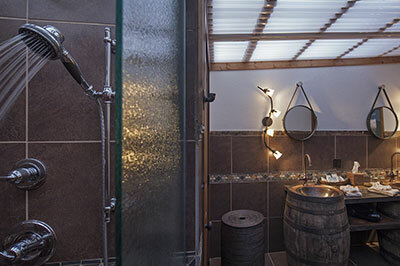 You’ll have six safari-style tents and exclusive use of the camp’s Dining Pavilion, fire pit, chef and butler. 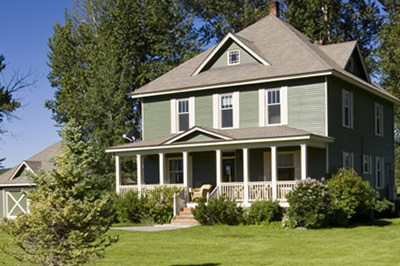 Call 800-473-0601 today and speak with one of our specialists. 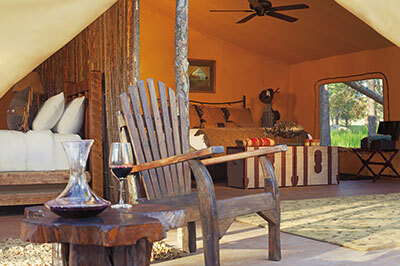 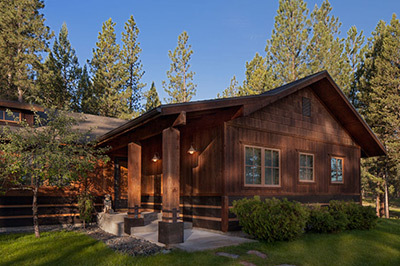 Pinnacle Camp and Cliffside Camp feature exclusive honeymoon tents.